The growing number of active development, domestic projects and communities, the second largest Ethereum market – South Korea is turning into a supportive power-backbone for the complete network. Going in a timeline row, first on Sep 21 South Korea took the second place in Bitcoin trading volume replacing (as expected) China. This week, the largest in history Ethereum meetup ever held was taking event in Seoul with speakers from Casper, Plasma and OmiseGo. It sold 1,000 reservations and 800 on the waiting list, which resulted with the first Ethereum gathering including over a thousand attendees. Very respected and well-known figures like Vitalik Buterin, Ethereum Foundation researcher Karl Floersch and OmiseGO managing director Vansa Chatikavanj attended the event as speakers. Yesterday, South Korean officials and regulators of the Financial Services Commission declared out plans to band domestic ICOs (Initial Coin Offerings). Keeping in mind that the particular branch of the ‘ethereum industry’ is a majority in the market, from panic many sold Ether which put pressure on the value and it started declining. However, on a quick note the recovery on the second session brought the pair ETH/USD above $300 as per today with 3.00% gain on the last 24-hours. Even that the SK part of the global-scale market dropped from 33 to 32 percent, the South Korean still had the second place safe for them. The majority of traders in the South Korean Ethereum market are speculative investors and tend to be largely influenced by any movement in the industry that could lead to a decline in Ethereum price. However, a fairly large portion of investors are avid supporters of Ethereum as a technology and an infrastructure for decentralized applications. One significant factor that will play a role on the market capitalization and price of Ethereum and its technology, is the performance of decentralized applications that will be evolving in the upcoming years. This was supported by the co-founder Vitalik Buterin in an interview with JoongAng – finance news outlet in South Korea. Buterin did note out that it might take 2-5 years for the Network (ethereums) to scale to a point in which the above mentioned applications could be sustained and launched with millions of users. There are many multi-billion dollar conglomerates and financial institutions in the Ethereum industry developing decentralized applications and platforms on top of the Ethereum protocol. The emergence of efficient and innovative scaling solutions will create a better environment for decentralized applications and will allow highly anticipated projects such as decentralized cryptocurrency exchanges and marketplaces to evolve. This kind of mindset and support (community enthusiasm) about Ethereum in South Korea, could lead the country to become a major factor on the impact the blockchain could have. 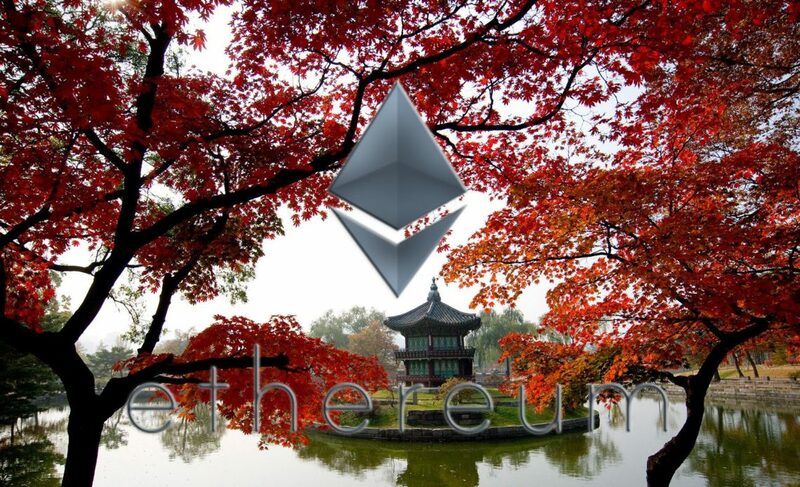 As Buterin noted in the interview with JoongAng in the upcoming years, applications of Ethereum in a variety of industries will be tested and implemented. Writer, EthereumWorldNews | [email protected] - Sam is an electrical engineer with years of passion writing for subjects that target or approximately do, his field of study. Now he is a full time writer for the team of Ethereum World News.